This year, Woodford Reserve takes a page from the Buffalo Trace playbook and is launching a series of one-off, limited release whiskeys for our fun and enjoyment. They aren’t quite as “experimental” as the BT Experimental series, but they are also not as unique as Woodford’s annually-released Master’s Collection whiskeys (which remain a separate entity). The Woodford Reserve Distillery will release up to three expressions of the Distillery Series concurrently at various times throughout the year. 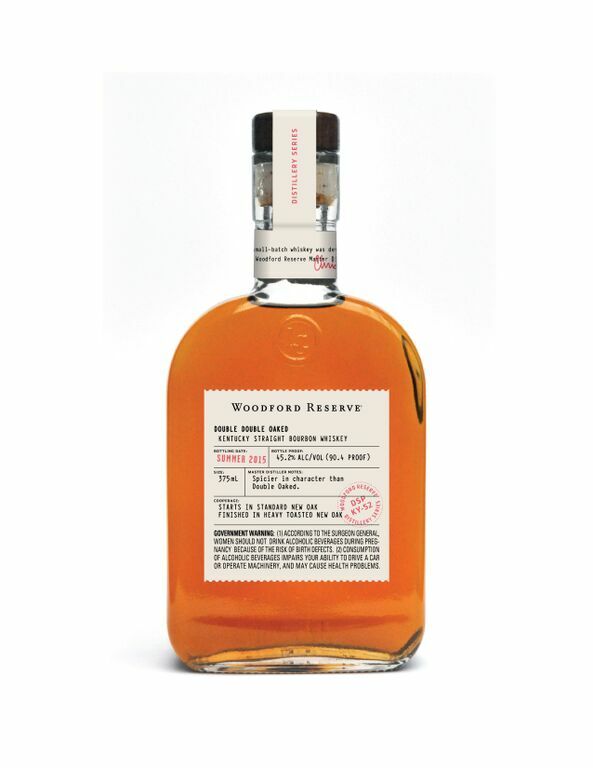 The inaugural two offerings, Double Double Oaked and Sweet Mash Redux, will be available for purchase at the Woodford Reserve Distillery in Versailles, KY, with a suggested retail price of $49.99 for a 375ml bottle. These small-batch offerings range from finished whiskies to straight bourbons and other unique spirits. Master Distiller Chris Morris has spent the last several years developing and perfecting the individual expressions within the Distillery Series which, in true Woodford Reserve form, offer consumers a first-hand look into the brand’s creative dexterity. Made with the same approach as other Woodford Reserve products that focus on adjusting one or more of the five sources of flavor, Distillery Series expressions represent alterations across four of the five sources: grain, fermentation, distillation, and maturation. In case you missed it: These are only available in half bottles, sold directly from the Woodford distillery in Kentucky. So let’s taste these two inaugural releases, eh?